Dancer and choreographer. Born in Akiruno City of Tokyo, Aoki started to dance at the age of 16 and invented his own method “point work” based on the knowledge about the body structure, earned by the bodywork he experienced. Having an interest on “how to utilize dance” in the ordinary society recently, Aoki offers workshops in different places; he often goes to elementary schools for lessons and local theaters for workshop performances. From 2004 to 2008, he was a member of the residential dance company Noism in Niigata. 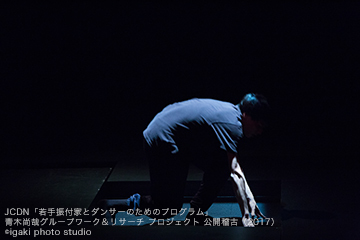 He started to create his own work in 2012 and presented “4... .soku” at “We’re Gonna Go Dancing! II vol.2” organized by JCDN. 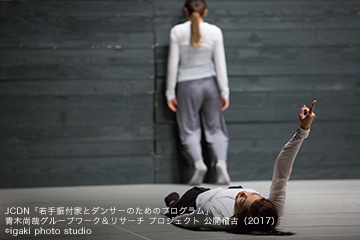 In 2017, he started “Aoki Naoya Group Work Project” to help changing the body with collective experience. He is a recipient of Artist Support Program of studio ARCHTANZ.